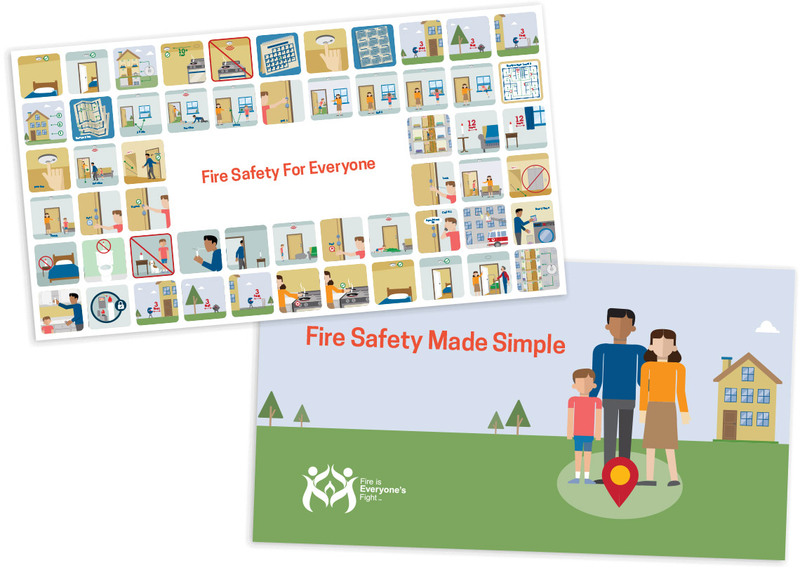 FEMA’s U.S. Fire Administration contracted Brunet-García to create a host of pictographs that translate fire safety messages to help overcome literacy and cultural barriers. 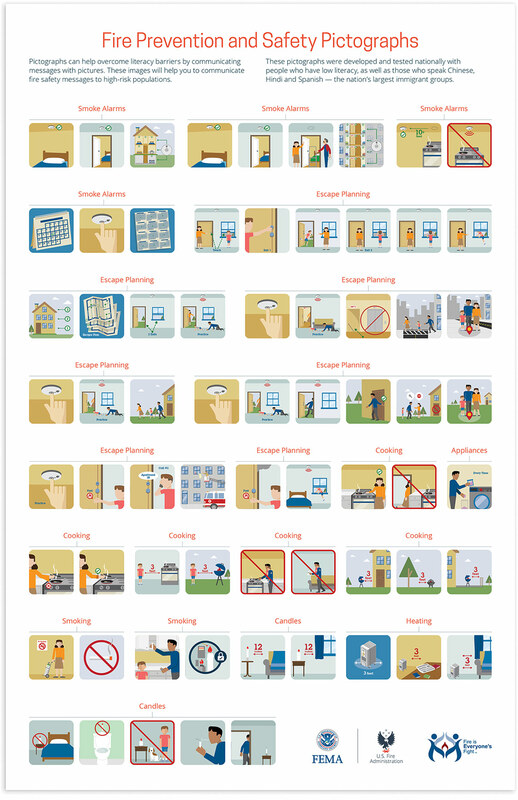 The picture sequences illustrate smoke alarm testing, fire escape planning, fire prevention, and many other messages. They were tested nationally with people who have low literacy as well as in-language with immigrant groups.